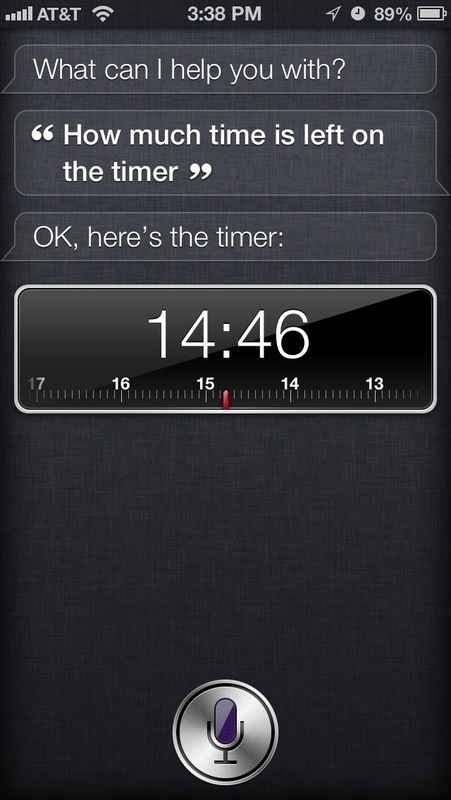 Siri: How much time is left on the timer? I’m going to start posting screenshots when I discover a new Siri trick that impresses me. I think the screenshot is key to show exactly how I spoke the command, and the result. For this one, I had my phone in my pocket and was hoping Siri would actually “say” the time (which she didn’t), but I still think this will be handy. “Remember…” (with OmniFocus integration) and “set a timer for…” are probably my top 2 Siri features, so quickly displaying the timer is nice.